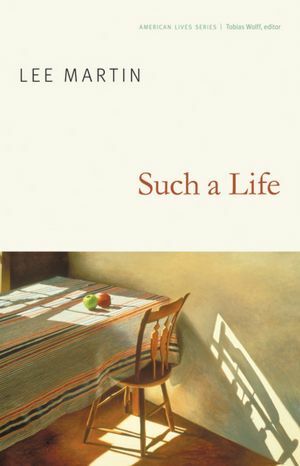 Such a Life is a collection of essays by Lee Martin, Pulitzer Prize Finalist and author of The Bright Forever and three other novels, three memoirs, and a short story collection. He teaches in the MFA Program at The Ohio State University, where he was the winner of the 2006 Alumni Award for Distinguished Teaching. I devoured *Such a Life in a few short days, not only because of the quality of the prose, but also because of how many of Lee’s stories resonated with me. When he talks about his mother-in-law who has Alzheimer’s, his words are almost exactly what I would say about my relationship with my mother. There is something darkly comforting about universal suffering, but I’m also very encouraged by the progress he has made in that relationship. I asked Lee to answer a few questions for my readers, and I’m so excited that he did. I hope you enjoy the interview. Susan: Thanks for taking time from your busy schedule to answer a few questions for my readers, Lee. Lee: It’s my pleasure, Susan. Thanks so much for your interest in my latest book. Susan: Such a Life is a collection of fifteen essays. Did you write these stories over a period of time and then later decide to combine them in an anthology, or did you write them with a book in mind? 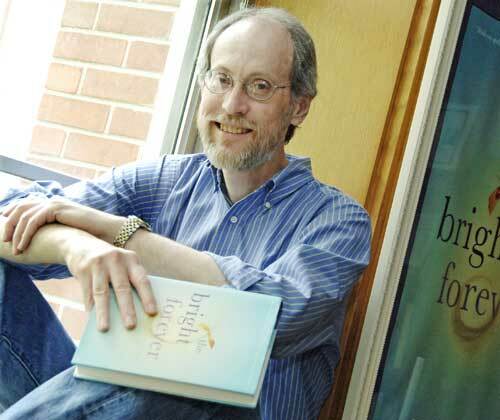 Lee: I started writing creative nonfiction in 1996, and sixteen years later I decided to put together a collection. By that point, I’d published two memoirs, From Our House and Turning Bones, but I also had a number of discreet essays that didn’t fit into either of those books. I decided to choose the fifteen pieces that were focused primarily on issues of family, aging, and identity. When put together, the pieces had a chronology, so we decided to call the book a memoir instead of an essay collection. Susan: Writing about your first crush in “Never Thirteen,” you say: “I don’t understand now, any more than I did then, the fine line between desire and lust. The truth is, the beautiful and the ugly bleed together; the distance between the two is never as wide as we’d like to think.” When you wrote the stories about your childhood which take place when you were in eighth grade or younger, how much did you consider which voice to use–the voice of thirteen-year-old Lee, or the voice of the now adult Lee, looking back on that time in your life? Or was it a mixture? It brings to mind the character, Scout, in To Kill a Mockingbird, and the way that Harper Lee wrote through both the child and the adult’s voices. Lee: I’m grateful for your comparison to the character of Scout in To Kill a Mockingbird, one of my favorite novels. I’ve always been attracted to that reflective narrative persona, even in my fiction, so I suppose it was only natural that I eventually felt compelled to write memoir. I like modulating the tone of the narrative by moving in and out of the voice of the child and the voice of the adult. I’m striving for a blend of the two voices and the multiple selves that reside along the timeline that connects them. I often think of this in terms of the voice of the participant (the child I was at the time I’m recalling), and the voice of the spectator (the adult I am looking back on that time and the person I once was). I love the sound of the wiser adult and the effect I can create when holding it next to the voice of the more innocent, and sometimes wrongheaded, child. Susan: In “The Fat Man Skinny,” you give us an intimate picture of a chubby kid being teased, and the consequences of that teasing for the rest of the man’s life. You ask, “How much do our bodies define us? Of course, our self-image depends somewhat on the person we see when we look in the mirror and the identity other people pin on us. But isn’t it wonderful to think that there’s always another person inside, a spirit formed during those early years of childhood, that dance on… unwilling to take that mirror’s image or that other person’s comment as gospel?” As a victim of childhood sexual abuse and verbal abuse by my mother, who wanted me to be skinny, I’ve had a lifelong struggle with eating disorders and body image distortion, so I relate strongly to this story. But these kinds of stories are more often written by women. It’s interesting to see that men sometimes bear the same crosses. Do you think more men fall victim to this, but maybe they just aren’t willing to admit it? Lee: I can’t speak for other men, of course, nor do I want to draw a comparison between my own experience with body image and the way those issues affect so many women’s lives, but I do think every teenage boy goes through a time period in which he compares himself to other boys and often finds himself lacking in some way he believes to be essential to manhood. Muscle development, the ability to grow facial hair, and, of course, weight—all of these can become ways of separating the manly from the not-so-manly. A boy’s body defines him in a certain way, and if he’s singled out for ridicule because he doesn’t measure up to the standard, that fact, like any form of bullying or diminishing, affects the way he looks at himself. My guess is, whether we’re male or female, the person who was made fun of lives inside us forever, but if we’re lucky we make room for that former self and we use him or her to help us know who we’ve become beyond the days when we suffered from other people’s impressions of us. Susan: I was blown away by the suffering you describe in “Who Causes This Sickness,” especially the excruciating pain from corneal erosions. As one of millions who are treated for thyroid problems, I was so happy to discover after a simple blood test that taking a small pill every day would remove all my symptoms—hair loss, flu-like aches, weight gain. So it’s hard for me to imagine that you resisted the treatment for so long. You say, “Suffering was essential to transcending the ego and uniting with the will of a higher power. Pain allowed one to become more human.” And then you quote Saint Francis of Assisi: “Humiliation is the way to humility, and without humility, nothing is pleasing to God.” As an Orthodox Christian, I’ve been taught similar things about the necessity of suffering in our lives, but I have a hard time embracing it. How much did your faith play into this? Lee: As you know from the essay, my mother was a Christian, and eventually my father and I made the leap of faith as well. Although I don’t participate in any sort of organized religion now, I consider myself a spiritual person, and one way I accept the suffering in the world is through my knowledge that we can’t fully cherish the absence of pain without first experiencing that pain. My resistance to seeking the proper medical attention for my thyroid disease was the result of a number of factors, but chief among them, I believe, was the way the story of my family conditioned me to believe that we were meant to suffer. My father lost both of his hands in a farming accident when I was barely a year old. I grew up with the message ingrained in me that we were meant to experience loss and to suffer pain. When I first started having corneal erosions, it seemed in a way that I was fulfilling the destiny laid out by my father, and, too, my suffering brought me closer to empathizing with him. Although he’d been dead for over ten years at that point, my own pain taught me something about what it must have been like for him to see his life divide into “before” and “after.” A man picking corn on an early November day, and then the shucking box clogs and he doesn’t take time to shut down the power take-off, opting instead to try to rake the corn from the rollers with his hand, and those spinning rollers draw that hand in, and when he tries to free it with the other hand, the rollers take it, too. That was the defining moment of my father’s life, and in many ways of my own as well. Susan: You write, about your mother-in-law: “If she’s in a public place and she sees someone she considers too thin, too fat, too overdressed, too—you fill in the blank—she makes no effort to hide her disapproval. ‘Look at that,’ she’ll say in a too-loud voice. ‘What a sight. '” Your mother-in-law reminds me very much of my mother, who also has Alzheimer’s. I have never known anyone other than my own mother who called people out like that in public. Now that Mom is in a nursing home and has forgotten to judge me (or others) the sting is gone, along with most of her mind. I’m finally making my peace with her and finding it easier to visit her. To love her. I love what you wrote: “Still, there are times when my mother-in-law is sweet and playful and generous.” And later, “I’m determined now to be kind to her, to be tolerant and understanding and helpful…. I know the frustrations and sorrows of watching someone you love disappear.” Did you write this part of the book before or after you came to this decision to try to be tolerant of her? Lee: I wrote that part after the experience of watching her fall victim to Alzheimer’s. That experience brought me to where I needed to be as far as my relationship to her. As she lost more and more of her memory, she forgot the criticisms she used to make of me, and I, in turn, felt a shift in the way I thought of her. She became a different person, of course, but the person she was still existed, and the combination of who she was before the disease and who she was after its onset created a very complicated situation that put pressure on me to evaluate my own considerations of her. I had to live through all of that before I could write about the part of me that was responding to her and her disease. Susan: You describe the struggle of being a vegan in a carnivorous world. In the last line of “Take, Eat,” you write about visiting a café where most of the menu isn’t very vegan-friendly: “I can imagine the smells and tastes and the food inside that cafe, the food that makes me hungry—starved to death—just to think of it.” Again, as an Orthodox Christian, I try to keep the fasts prescribed by the Church, which includes many weeks throughout the liturgical year where we don’t eat meat, dairy, oil or wine. Even fish. I’m curious as to how you came to the decision to be vegan. Was it health-related, faith-based, environmental? Lee: I grew up in beef country in southeastern Illinois, and after my father was diagnosed with colon cancer, which he survived, and then heart disease, which he didn’t, I started to question my dietary choices. The decision to first try a vegetarian diet came from the desire to do what I could to avoid my father’s path. The more reading I did, the more I became aware of the suffering of animals for the sake of our food supply and the effects on our environment, so these ethical concerns also came into play. A few years after that, I started suffering from chronic bronchitis, and my teacher at the time, James Leo Herlihly, author of Midnight Cowboy, told me I’d be better if I stopped eating dairy. It was, at first, a huge sacrifice, but he was right. Now I eat eggs on occasion, but I still avoid milk products simply because of the respiratory problems it causes me. Thanks again, Lee, for sharing with us. I’ve just downloaded The Bright Forever on my Kindle and can’t wait to get started on it!